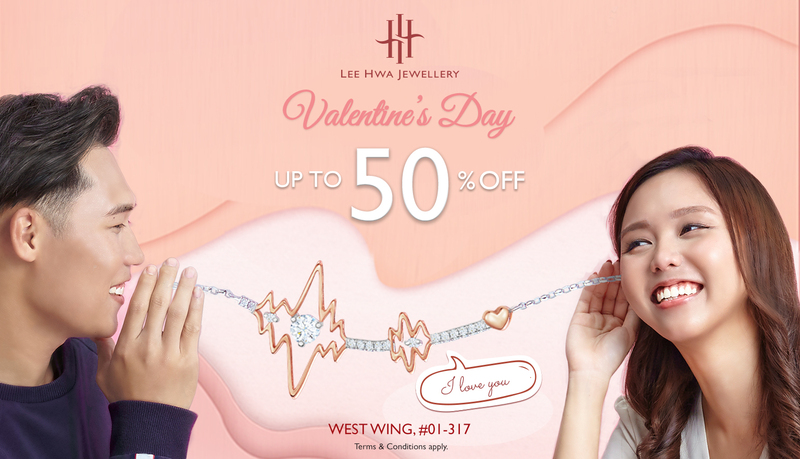 Enjoy up to 50% off at the Valentine's Day Solitaire Sale and Exclusive Specials by Lee Hwa Jewellery! Promotion is valid on non-branded lines only. Other T&Cs apply. Promotion is valid till 24 Feb 2019. Lee Hwa's Jewelspace is located at West Wing, #01-317.